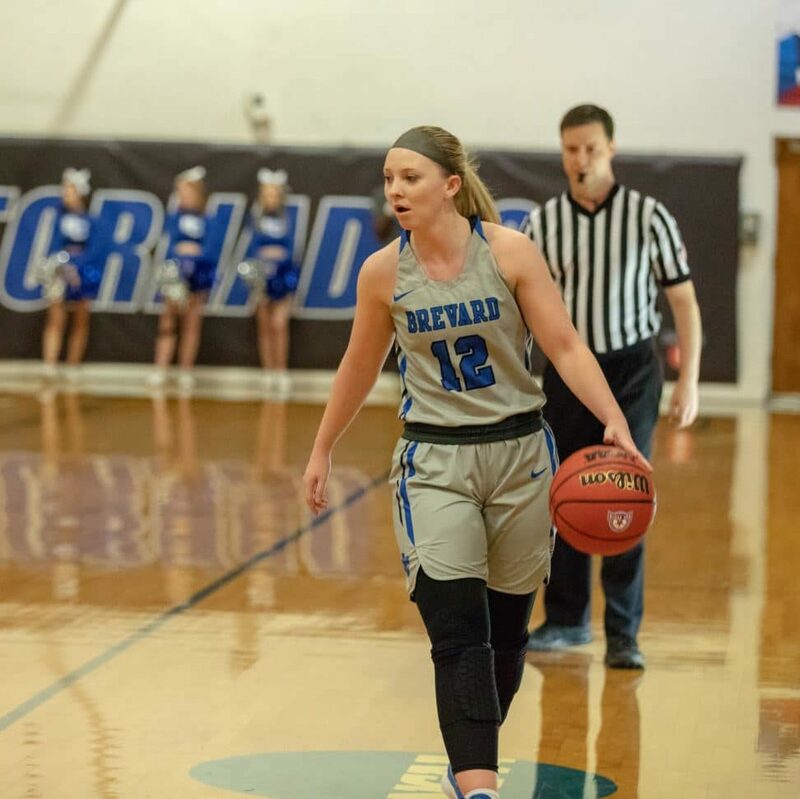 In an impressive, record-breaking performance in her final career home game, Brevard College senior guard Annalee Bollinger exploded for 28 points, 23 of which coming in the second half, to push Brevard over Pfeiffer by a final score of 67-63 at the Bosh on Saturday afternoon. At the 7:01 mark in the third quarter, Bollinger secured her place at the top of the BC record books as the best 3-point shooter in school history, getting open off of a Ty’She Washington pass and draining the long-range shot. Washington had an all-around performance for Brevard, recording 13 points, six rebounds, two assists, and two steals. Sophomore Destiny Williams posted 11 points, six rebounds, and two steals, while freshman center Avery Lockwood tallied double-digit rebounds for the 10th time in 2018-19, with 11 boards in Saturday’s contest. Brevard Women’s Basketball has now reached a double-digit win total under Coach Hudson in back-to-back seasons, a feat never accomplished in BC Women’s Basketball NCAA-era history. In fact, Hudson has led Brevard to its only two double-digit winning seasons in its NCAA history, as the Tornados won 12 games in 2017-18 before amassing their 10 this season.